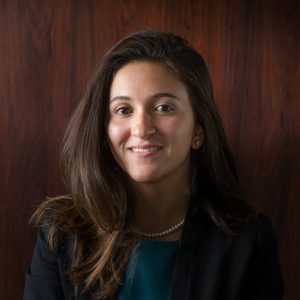 Iman started her career as an equity trader and technical analyst in NAEEM brokerage in 2005 then moved to the buy side, working as an investment associate in Royal Group, private equity firm, one of the largest investment houses in the UAE. During her career at Royal Group, Iman was part of Egypt office team preparing investments pipeline in the Middle East, Europe and South America. Iman has participated in several transactions preparing due diligence, valuation, financial models, deal structuring and was part of the team responsible for the USD80Mn acquisition of Goiatuba Mill, an ethanol hydrated supplier in Brazil. Immediately prior rejoining NAEEM, Iman worked in business development at ICM Capital, a forex trading company located in the UK and registered by FCA. Iman holds a bachelor’s of commerce, accounting major from DGCI (Départment de Gestion et De Commerce International), Ain Shams University and has a Master’s in business management from Poitiers University, France. She also holds an Executive MBA (EMBA) from Nile University in collaboration with IESE Business School, Spain.